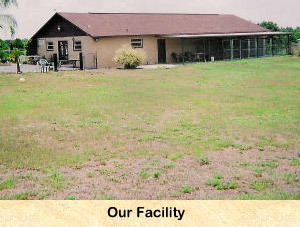 Located on a spacious 6 acre facility, Royal Palm Kennel has the finest kennels in Central Florida. We realize just how special your pets are and we provide the same loving care we give our own pets. 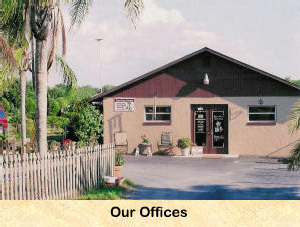 We are recommended by many local veterinarians and some of them kennel their own dogs with us. We make every dog that stays with us feel loved and safe. 24 hour 7 days a week a week supervision. The kennels are on our home and we understand how precious your pets are, so we are not going to just pen them up and forget them. 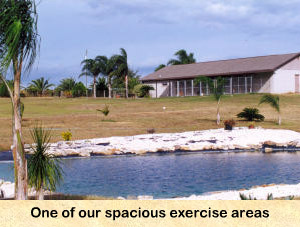 Three extra large exercise areas. Each area is an acre in size. 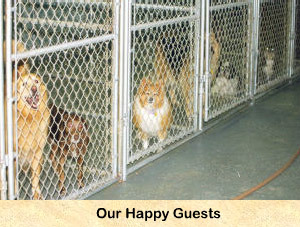 Your pet has plenty of room to run and play and we can separate dogs so your pet won't be picked on by other dogs. A crystal clear pond. 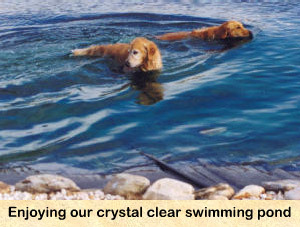 For the dogs who love water to swim in for exercise. Air conditioned 5ft - 12ft large runs. 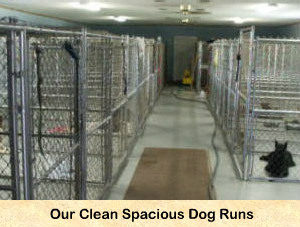 In addition to being air conditioned our kennel space have overhead fans to keep the air circulating. We provide a high quality diet for the care of the our dogs we board and we will feed a special diet upon request. 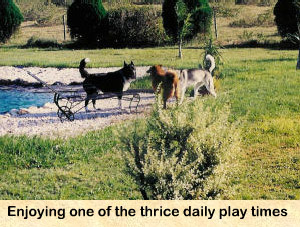 All dogs are exercised 5 times a day.